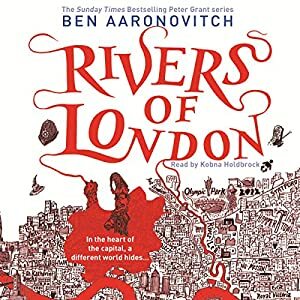 Rivers of London wasn't the first audio book I bought (audible tells me it was my 5th...) but it was the first one I really got properly sucked into. So much so that 5 days later I bought the sequel and similarly devoured that! Set in London, this series follows PC Peter Grant as he finds himself dragged into the magical underbelly of London when trying to take a witness statement from a witness who is undeniably dead. The book is a perfect balance of pace and character, with the magical world being so well crafted that it is entirely believable. Though the book is told from Peter's perspective the supporting characters are fully realised characters which I find sometimes doesn't happen in first person narrative. This isn't the longest audio book at a smidge over 9 hours, but I found myself walking incredibly slowly to work to try and eek out a few extra minutes listening, or offering to do both the cooking and the washing up as an excuse to hear more of where the story would go. And a lot of that is down to the wonderful job that Kobna Holdbrook-Smith does of narrating the book. He does a great range of believable accents for the different characters in the book which is rarer than you would hope for in audio books, and his Peter Grant is perfect. Having devoured the first two books in days I faced an interminable wait until 'Whispers Underground' was released. I was so excited that the day it came out I rushed down to Waterstone's, bought a copy and settled down for the next instalment of my favourite wizard detective. And failed. I tried to read those first few chapters at least 5 times before I gave up. What was the problem? Had Aaronvitch lost his spark? Was the magic police finally too unbelievable? No, none of these. I couldn't get the voice right in my head! Like having your proper Sherlock, the only proper Peter Grant was the one as read by Kobna Holdbrook-Smith. 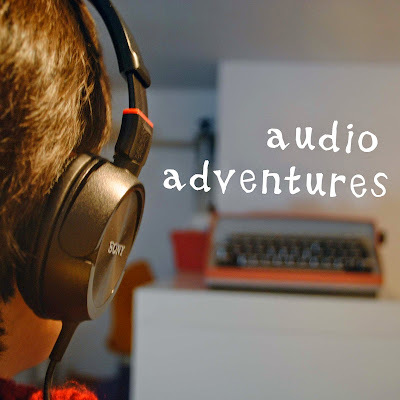 And that was the moment I truly fell in love with audio books as their own thing, rather than as a hands-free alternative to reading. When the voice in my head wasn't as good as the voice in my ears I knew I was lost to the wonderful world filled with Audio Adventures. So if the idea of Magic, crime, and the most perfect reading voice intrigues you I highly recommend the Rovers of London series. I am pretty sure Rivers of London is my favourite, followed very closely by Moon over Soho, but they are all wonderful.